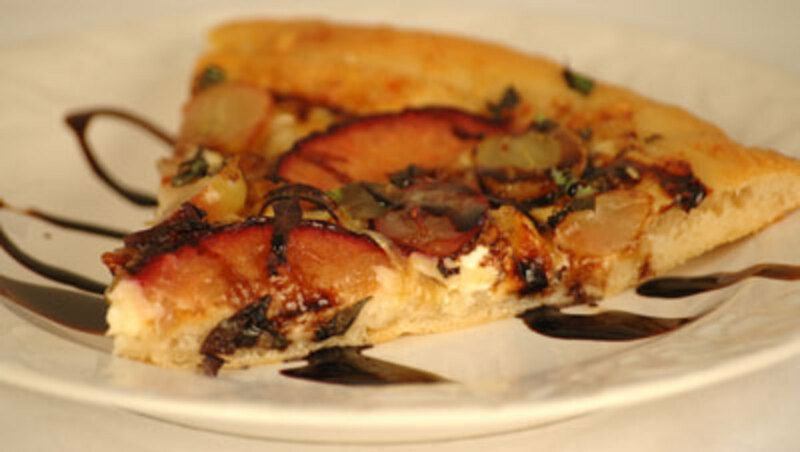 Try this delicious homemade pizza recipe with organic basil, grapes, plums, balsamic vinegar and goat cheese. It&apos;s perfect for the vegetarians in your life. This can be served as an appetizer or main course. Note: This dough recipe is enough to make two pizzas. In the bowl of a stand mixer, whisk together, yeast, lukewarm water and 1/2 cup of flower. Lightly dust the top of the mixture with flower. Cover bowl with a towel and leave mixture to rise for about 20 minutes until the flour dusting “cracks,” showing that the yeast is alive and well. Add to the bowl 3 cups of flower, 1 cup of cool water, olive oil and salt. Turning on stand mixer fitted with a dough hook, start kneading the dough at low speed. Once the flour has been incorporated, raise speed to medium. Add the remaining 1/2 cup of flour as needed producing a silky soft and slightly moist dough. Keep kneading the dough until it adheres to the hook and is smooth and silky. Lightly flour a flat surface and remove the dough from the bowl to the floured surface. Lightly dust the dough and your hands with flour and begin kneading the dough lightly folding the dough over itself. Knead until dough is soft, elastic and smooth. Shape dough into a ball yet slightly flat and lightly dust with flour. Cut dough in half with a pastry cutter. 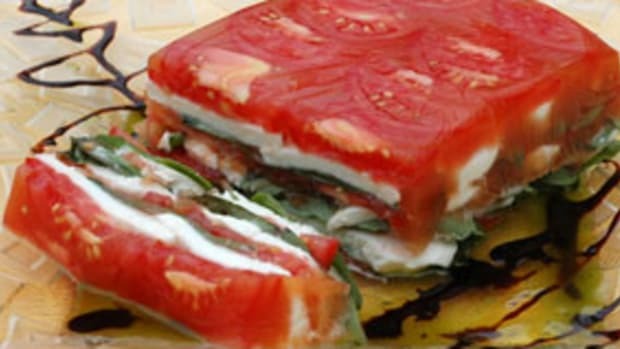 Use the rest to make a second pizza or punch down dough, wrap and freeze up to one month for a later use. 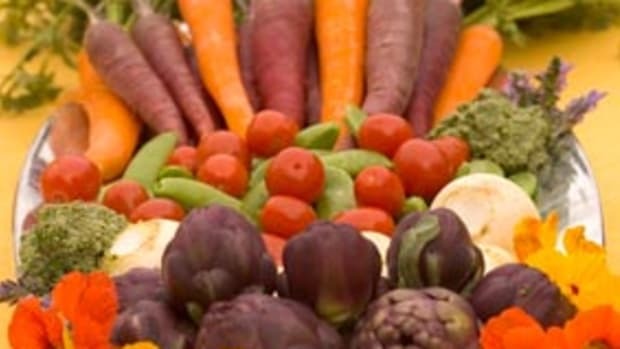 When ready to use defrost and let rise in a large bowl in the refrigerator. Lightly oil a stainless steel bowl and place dough in bowl. 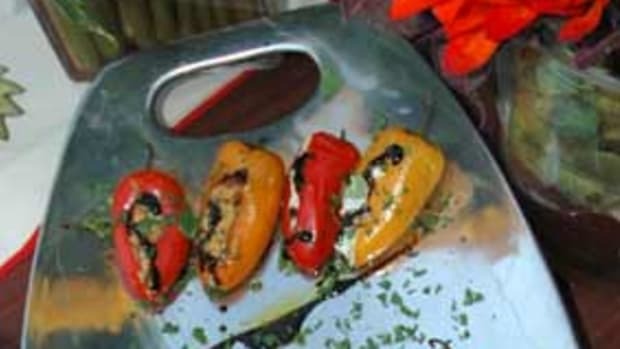 Cover with a tea towel and leave to rise until doubled in bulk about 1 – 1 1/4 hours. While dough rises preheat oven to 500° and place pizza stone in oven to preheat for at least 45 minutes. Heat 3 tablespoons of olive oil in a heavy skillet over medium-low heat. Add onions and salt and pepper to taste. Stir onions occasionally until softened and caramel brown about 30-35 minutes. Transfer onions to a plate and reserve. Lightly flour a flat surface and roll out dough to about a 13” round. Lightly dust your fingers and rolling pin get sticky from the dough them with flour as needed. In a small sauce pan bring wine and sugar to a boil, stir until sugar is dissolved and reduce by half. Add plums and grapes to the sauce pan and stir to coat. Sprinkle dough with Italian Fontina cheese, break apart goat cheese with fingers and evenly place around pizza. Evenly spread caramelized onions around pizza. 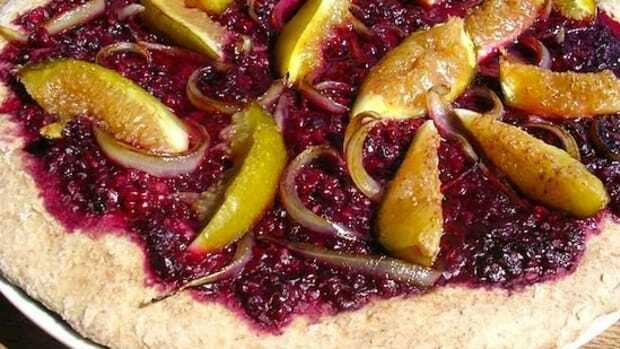 Drizzle fruit mixture and sauce around pizza. Remove preheated pizza stone from oven, line with parchment paper and transfer pizza to stone. Bake pizza until the dough is golden brown and cheese is bubbling about 15 – 20 minutes. Remove from oven, cool for 5 minutes. Drizzle pizza with balsamic glaze, cut and immediately serve.